Forest Hill is changing fast and the Forest Hill Society is now truly part of the process of making Forest Hill an even better place to live. 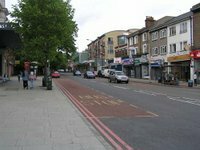 As he prepares to step down after a busy year as vice-chair and acting chair, Michael Abrahams assesses the role of the Society in SE23. 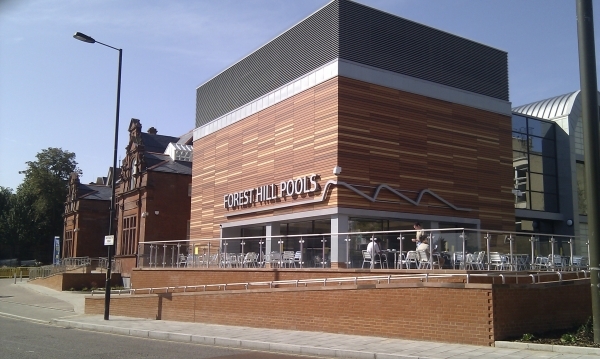 Over the last few years, we have had victories on train services, on defeating and supporting a number of planning applications and, most recently and most importantly, on keeping swimming at the centre of Forest Hill. We have worked to form a better sense of community in Forest Hill and Honor Oak Park. The 23 Club has created a monthly event for people to share a meal and conversation with others in the area and to support local restaurants. We have also had nature and history walks opening up areas that none of us had previously visited. October sees an important milestone in the history of Forest Hill since it is exactly 200 years since the London to Croydon canal came through the area and Forest Hill came into being. We are celebrating this with our most exciting event to date. You’ll find details in this Newsletter but, basically, it’s a walk, some nature, a bit of local history, and some food - a great day out in your local area! But before that, we have our AGM which will take place on 15th October upstairs at the Hob, opposite Forest Hill Station. This is a chance to hear our guest speaker from Transport for London who will explain the plans for our local stations now that TfL controls them and the East London Line that will be running through them from next year. This will be followed by elections for the Forest Hill Society Executive. There are up to twenty-three places available on the Executive all of which will be up for election. There are also roles on sub-committees looking at Development, Transport, Environment and Green Spaces and Events and Communications. With so many positions available, we hope that you will consider getting more involved and helping the Society to continue its run of successes over the last few years. Every year, new people join our committee bringing fresh ideas and energy to the Society. Without them and people like you, the Society would not be able to function, let alone succeed time after time. Unfortunately, our Chairman, Peter Irby, has not been well this year and will be resigning at the AGM. I, in my capacity as vice-chair, have been running the Society in his absence but work and other commitments mean that I am unable to continue next year so we are looking for somebody to take over and shape the direction of the Society. If you are interested in joining the committee, please contact Michael Abrahams or come along on the 15th October and throw your hat in the ring!